On 29 February 2016, two Tibetans set themselves on fire to protest against the Chinese occupation of Tibetan territories. 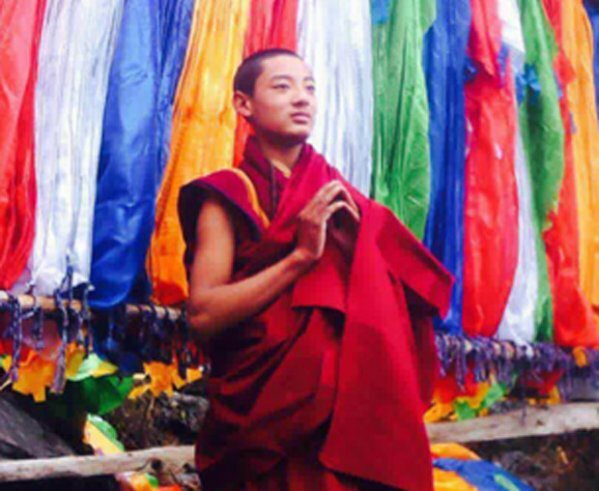 Kalsang Wangdu, an 18-year-old monk living in the Sichuan province in China – a Tibetan area – died before he could reach the hospital. While burning, Mr Wangdu invoked Tibet’s independence. On the same morning, Dorje Tsering, a high-school student living in India, also attempted self-immolation but was brought to the hospital in time to survive. According to his mother, he had already expressed willingness to sacrifice himself for his homeland. Since 2009, there have been 144 cases of Tibetans setting themselves on fire for a free Tibet. Photo courtesy of Radio Free Asia. A Tibetan monk set himself ablaze and died on Monday in southwestern China’s Sichuan province in an apparent challenge to Beijing’s rule in the first such protest in a Tibetan area of China this year, a source in the region told RFA’s Tibetan Service. Kalsang Wangdu, a monk of the Maretsokha Aryaling monastery, self-immolated at around 4:00 p.m. on Feb. 29 near his monastery in the Kardze (in Chinese, Ganzi) Tibetan Autonomous Prefecture’s Nyagrong (Xinlong) county, RFA’s source said, contacting RFA on social media and speaking on condition of anonymity. “[While he burned], he called out for Tibet’s complete independence,” the source said, adding that witnesses to Wangdu’s protest “intervened,” intending to take him to Sichuan’s provincial capital for treatment. Wangdu’s self-immolation could not be immediately confirmed, and authorities were not available for comment. But his action would bring to 144 the total number of burnings by Tibetans living in China since the wave of fiery protests calling for Tibetan freedom and the return of exiled spiritual leader the Dalai Lama began in 2009. Tibetans living in Kardze prefecture are known for their strong sense of Tibetan national identity and frequently stage protests alone or in groups opposing rule by Beijing. Meanwhile, a young Tibetan student living in India set himself on fire on Monday to protest China’s rule in Tibetan areas after telling his parents he hoped to do something “for the cause of Tibet,” a Tibetan source in exile told RFA. Dorje Tsering, 16, set himself ablaze near a housing complex for elderly Tibetans in Dehra Dun at about 8:30 a.m. on Feb. 29, RFA’s source, housing complex staff member Lobsang Tsultrim, said. “He was severely injured in the fire, and was quickly moved to the Safdurjung hospital in Delhi,” Tsultrim said. “He is reported to have suffered burns over 95 percent of his body,” he said. Tsering had previously hinted at his coming protest, asking his parents if they would be happy if he was able to do something for the cause of Tibet, Tsultrim said. “Yesterday, he did exactly what he said he would do,” he added. “I did discuss my intentions with my parents, who told me they would kill themselves if I did this,” Tsering said from his hospital bed, speaking in a video. “[But] I have the will to do something for the Tibetan cause and thought that I could sacrifice this body for the Tibetan cause,” he said. “I want His Holiness the Dalai Lama to live long and for Tibet to achieve its independence,” he said. Tsering’s protest “was a sign of how deep and sustained opposition to Chinese rule remains [even] among Tibetans outside Tibet,” London-based Free Tibet director Eleanor Byrne-Rosengren said in a statement Tuesday. “Whether inside or outside the country, young Tibetans feel the sense of injustice and are driven to act because of it,” she said.